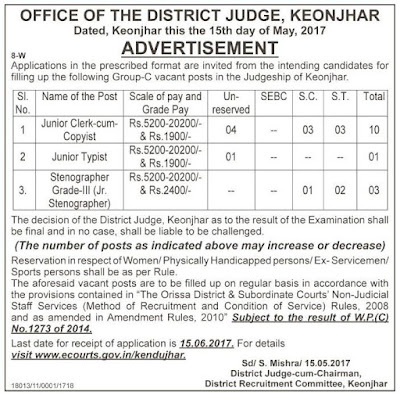 District Court Keonjhar Recruitment 2017 For Junior Clerk, Typist & Stenographer Post. Office Of the District Judge Keonjhar Has Published the Recruitment Notification for Junior Clerk, Typist & Stenographer Posts. Eligible Interested Candidates Can Apply Via Online Mode. Last Date for Submitting Online Application form 15th June 2017. 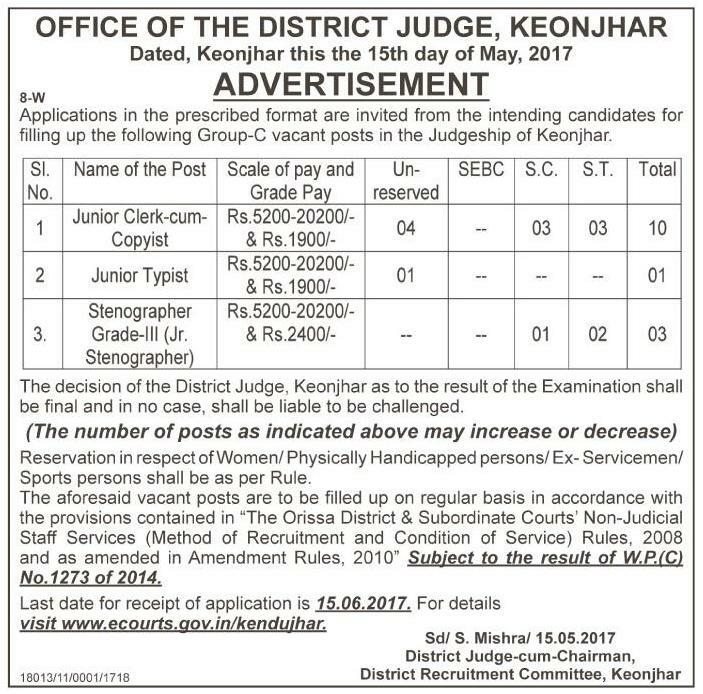 Office Of the District Judge Keonjhar Recruitment 2017 For Junior Clerk, Typist & Stenographer Post. No of Vacancy- 14 Posts. Educational Qualification- Candidates Must Have 10th, 12th, Graduation From Recognized University/Board.